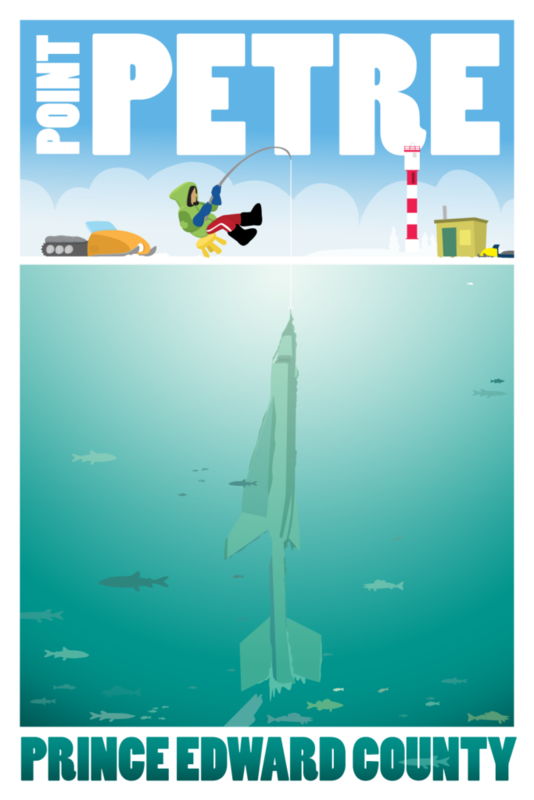 This large print of the the Avro Arrow at Point Petre is part of my series of Prince Edward County posters. The Avro Arrow was a Canadian supersonic fighter jet that was ahead of it’s time. It came to a dramatic and mysterious end when the Canadian government scrapped the project and destroyed all planes, practically overnight. While no planes remain, the original aerodynamic models rest at the bottom of Lake Ontario off of Point Petre.